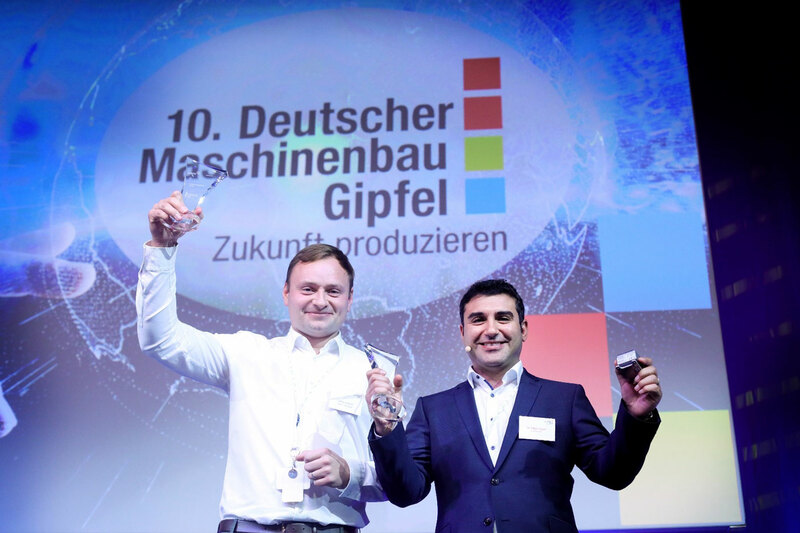 We won the Startup Award at the 10th Maschinenbau Gipfel! This German Mechanical Engineering Summit is one of the most important events for the industrial sector, in which over 500 company bosses, managers and technology visionaries come to Berlin to spend two days discussing current trends in mechanical engineering as well as technology of the future and the latest research and development results. As young companies are becoming increasingly important for the development of German industry, the Verband Deutscher Maschinen- und Anlagenbau (VDMA – German Engineering Federation) presented the Startup Award for the first time this year in order to identify the best startups from the mechanical engineering scene and bring them to the mechanical engineering summit. 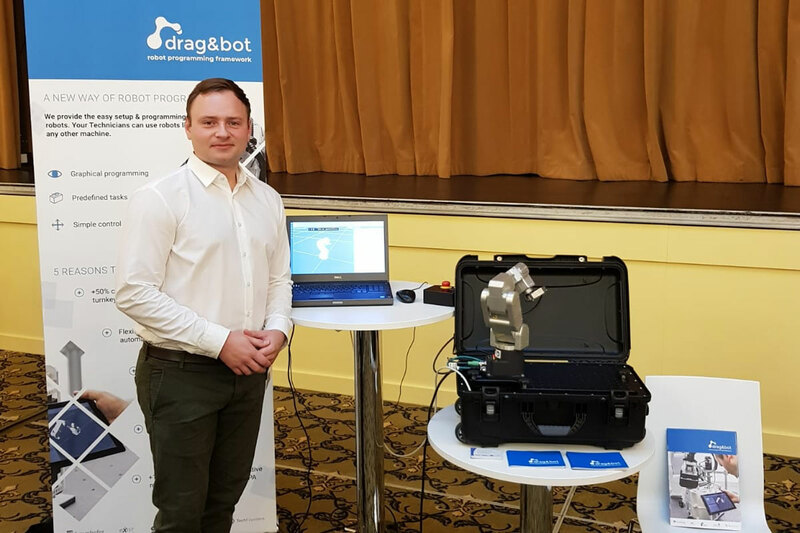 For us, the VDMA Startup Award is therefore a special acknowledgement, as this means that drag&bot, our software for robot programming, is of interest to both medium-sized companies and large corporations in the mechanical engineering industry. Besides us 44 other startups were nominated. With our software for robot programming via drag-and-drop we were able to assert ourselves against young companies from the fields of Internet of Things, Virtual and Augmented Reality or Logistics. For the jury, it was important that the startups combine mechanical engineering relevance with innovative strength and pursue a convincing business approach. Together with the second winner, we had the honour of pitching at the mechanical engineering summit and presenting our product to decision-makers and managers from the industrial sector.